I wanted to get back to you with some of our observations on the use of the Plantskydd that you supplied to us earlier in the year. 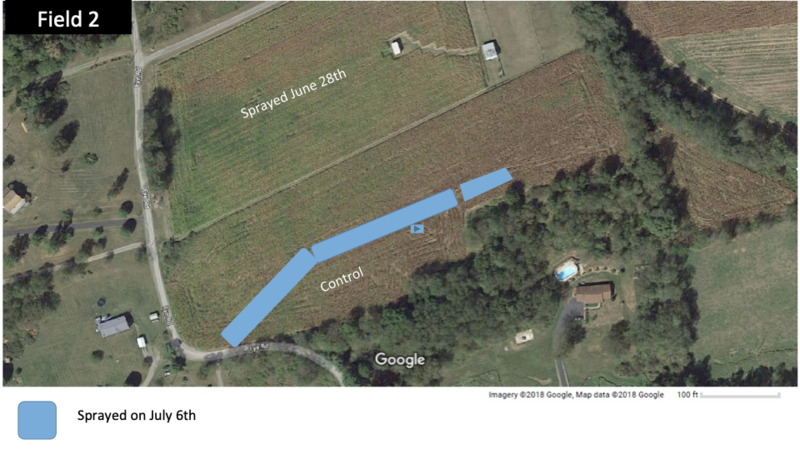 Our cooperating farmer, had the product applied to two fields on June 28th. The soybeans in both fields were ex- periencing some grazing at that point and sections of the field had some serious defoliation. They left untreated areas along the edge of one field and in the other field there were strips that were untreated. 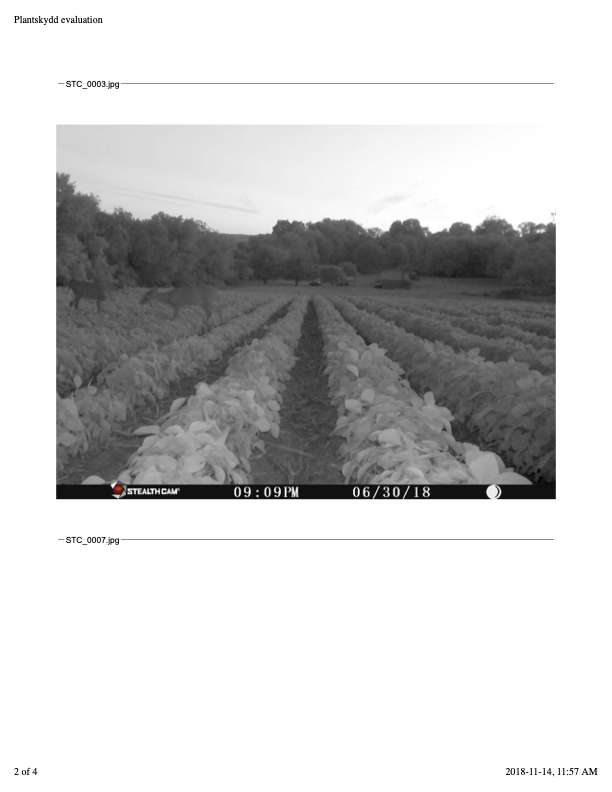 The application really reduced deer feeding at that point as the deer left the fields for about 10 days. Rainfall was minimal during that period. The soybeans were able to recover and develop substantial leaf growth. The deer damage in untreated strips in the field was eliminated as well. In the second field where the control area was left on the edge of the field, the deer continued to graze in the control area. Picture STC_0005 shows a deer approaching the treated area at on the right and then moving away in STC_0007. In STC_0003 we see a group of deer feeding exclusively on the left half of the picture which was untreated. 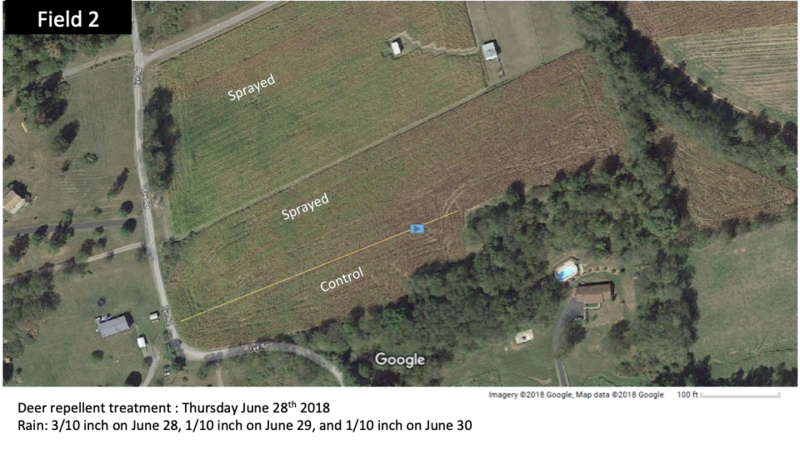 On July 6th, 8 days later, I sprayed some treatments a second time as the deer started moving back into the fields a bit. Our cooperator decided to spray both fields about 12 days later and included the Plantskydd in with his Herbicide, Fungicide and Insecticide. He did leave a control area in the Sellers farm. 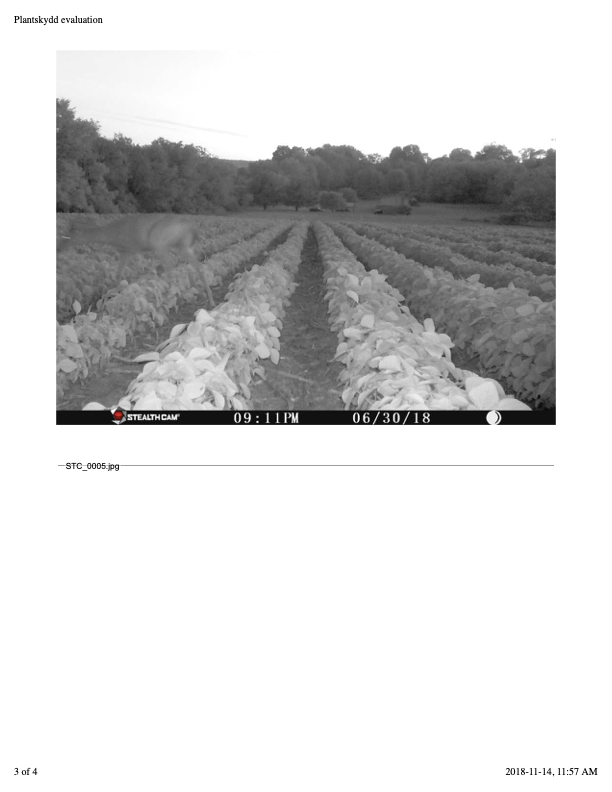 He did not see the same strong effect on the deer that he saw on the first application. He is not sure if it is due to the mixture or the dilution rate they used. In some other applications they did, they felt that they got some better effects with the straight Plantskydd later in the year on green beans and soybeans. Later in July we had heavy rain and the soybean growth was good. Deer feeding resumed in the control area on the Sellers farm Field and throughout the other field. At this point the cooperator has harvested the Sellers field and yields were very good. He estimates a 10 bu/acre benefit from the Plantskydd there, by deterring damage and focusing it on the untreated check area along the edge of the field. So overall I think the product evaluation was good. I wish we could have convinced them to do some perimeter sprays later in the season. I have a feeling that might have really made the difference. Thanks for your support of this effort. I was glad we could expose these producers to this product and educate them a bit about its use.